Today is the beginning of the 2011 edition of Star Wars Weekends. In honor of the event, and the official relaunch of Star Tours, we take a look at a set piece whose footprint on the original Star Wars trilogy and its own unique history with Star Tours. You may know it as the stage where the Jedi Training Academy is held, but this bunker is so much more. For starters, the bunker’s standing in the Star Wars universe comes into play in the third film of the first trilogy, also known as Episode VI: Return of the Jedi. Han Solo’s strike team, evading the Empire’s detection by utilizing an Imperial shuttle and landing on the forest moon of Endor, is charged with deactivating the shield generator that is protecting second Death Star which, unbeknownst to the Rebel force, is fully-armed and operational. 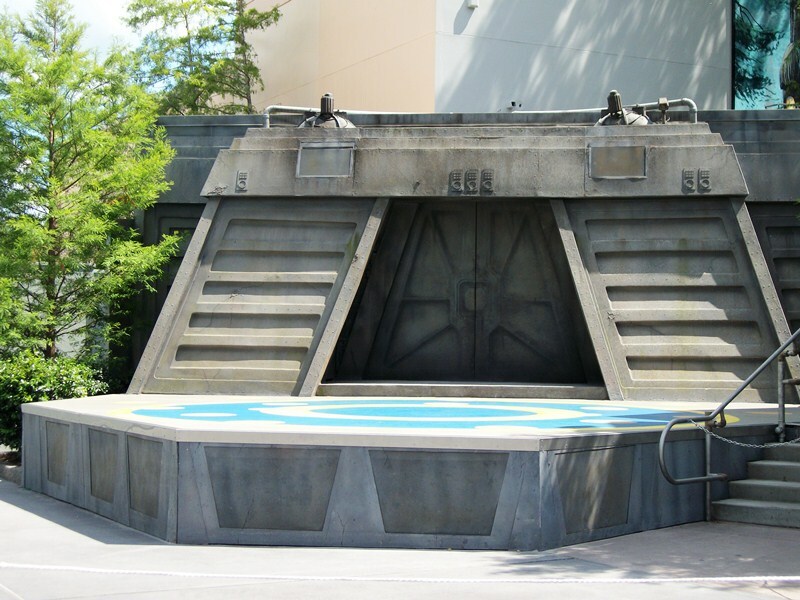 The shield generator is heavily protected, but Solo’s strike team is led to a back entrance by the native ewoks, the same bunker that now sits in front of Star Tours. Deception, disaster and carnage ensues, but eventually the rebels work their way into the bunker and complete their mission. Meanwhile, back on earth, the bunker was not always in its current position or form. An original version of the Endor bunker once occupied a place at the exit to Star Tours. Strolling along the walkway by Star Tours, guests would have, once upon a time, passed by the imposing AT-AT walker, ewok village and then the bunker. At that time, the bunker was the gift shop attached to the exit of Star Tours, known as Endor Vendors instead of Tatooine Traders. In fact, it came complete with a wrecked speeder bike. So, to all the jawas and jedis, sith and starspeeder pilots, and whether you’re jamming to Figrin D’an and the Modal Nodes or the Max Rebo Band, I hope you have a fantastic weekend, even if you’re not at Star Wars Weekends. May the Force Be With You, one and all!